Around election time, the blogosphere and social media fill up with posts extolling the virtues of various political candidates, begging others to support them, and name-calling directed against those who dare to support different candidates. Much of this is as irrational as anything else one might find on the Internet, including religious proselytizing and other faith-based drivel. Evidence and reason are often absent, replaced by the same sort of appeals to authority and emotion which freethinkers are usually quick to disavow in other contexts. On the surface, it may seem like efforts to persuade others to share one's political views are necessarily inconsistent with freethought and skepticism, but I do not think this is the case. In fact, I believe there are ways to champion one's chosen candidate without betraying one's commitment to freethought, skepticism, and the like. I will attempt to describe one such approach in this post. As a freethinker and a skeptic, it is important to me that I make up my own mind after considering the available evidence and exercising reason. I am not inclined to follow leaders uncritically or to base something as important as how I will vote on what someone else thinks. If someone tells me that I should vote for a particular candidate and provides no better argument than "trust me, I know," I am inclined to dismiss their recommendation. I am not going to vote for a candidate simply because someone whose opinion I value says I should do so. Equally important, I am not about to encourage anyone else to support my preferred candidate by appealing to authority or emotion. In fact, I'm fairly reluctant to tell others how to vote at all. I cannot pretend to know how someone else should vote. Saying, "Trust me, you should vote for [insert candidate here]" sounds far too much like the sort of appeal to authority that seems inconsistent with freethought. At the same time, I recognize that politics is a team sport. Numbers matter here (well, numbers and "superdelegates" on the Democratic side). If I am the only one who votes for the candidate I prefer, that candidate will lose. And so, I understand the appeal of attempting to persuade others to support the candidate that I support. If I really want the candidate to win, persuading others to support him or her is going to seem important. Fortunately, it is not difficult to reconcile such a desire with freethought. 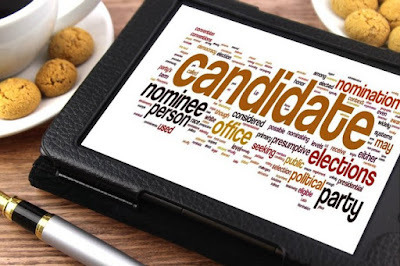 As a blogger, if I want to persuade others to support my candidate, I can write a clear and accurate account of my reasons for supporting my candidate. I can then encourage others to critically evaluate what I have written and decide for themselves. In this way, my post would be serving as one data point I am asking others to consider as they exercise reason and evaluate evidence. As long as I steer clear of asking anyone to trust me or hoping that those who value my opinion will be inclined to be less critical of my claims, I am not doing anything inconsistent with freethought. And so, this is my suggestion for any freethinker who would like to persuade others to support a particular candidate: provide us with a good argument about why we should support your candidate. Make sure that your argument contains no factual errors, avoids appeals to emotion, virtue signaling, or other blatant attempts to manipulate us, and does not revolve around whether we can trust you or value your opinion. Instead of relying on such tactics, provide us with evidence and reason to support of your argument. Once you have put forward such an argument, encourage us to critically evaluate it. You might even take the critical comments you receive and use them to strengthen your argument. Recognize at the outset that people will disagree with you and advance arguments of their own that run counter to yours. Instead of labeling this as "harassment," seize it and use it as an opportunity to improve your argument. Through encountering divergent views, especially those that disagree with yours, you will be in an excellent position to make your case even stronger. In the end, if you have provided a well reasoned argument with evidence to support it, some of us will be persuaded.